Kalpesh Synthetics Pvt Limited is the manufacturer of Heavy Woven Industrial and Technical Textile in Our Complete In-house infrastructure in Umbergaon(Gujarat) , India . Canvas Board 5"X7" to 18"x24"
We offer a quality range of canvas to our valued customers. We are one of the leading manufacturer and suppliers of Canvas Sheets in India. we are the manufacturer ans suppliers of Cotton Canvas by the name of my own brand Cotton Canvas used for the different purposes. 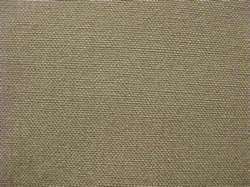 We are prominent in the market for providing Jute Canvas. These products are made at our manufacturing unit using the best quality raw material and superior technique. Our offered products are extremely praised in industry due to their precise size and long lasting nature. We are one of the leading wholesaler, trader and retailer of an impeccable range of printable Canvas.We are prominent one stop shop for getting best deals in all types of canvas fabrics. As per the varying desires of our customers, we have come up with a wide assortment of Canvas Tarpaulin Sheet. In line with the cherished standards of superiority, these are widely recommended. Additionally, their ability to get modified makes these highly demanded. Also, our customers can get these at most feasible rates. Backed by our skilled professionals, we are involved in providing Canvas Sheet Printing Service. We bring forth vast industrial experience and expertise in this business, instrumental in offering Cotton Canvas Sheet. With the assistance of our team of professionals, we are offering our clients a broad array of Canvas Tarpaulin Sheet.